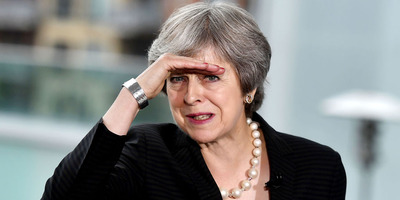 Theresa May’s government is considering a plan to register EU citizens who wish to remain in the UK after Brexit alphabetically to cope with the flood of expected applications, sources tell Business Insider. Alternative plans to register applicants sector by sector, or by geographical region, are considered politically sensitive. The Home Office needs to register up to 3.6 million EU citizens before the UK leaves the EU. EU citizens’ campaigners voiced concerns about the “unprecedented scale and timeframe” for the scheme. 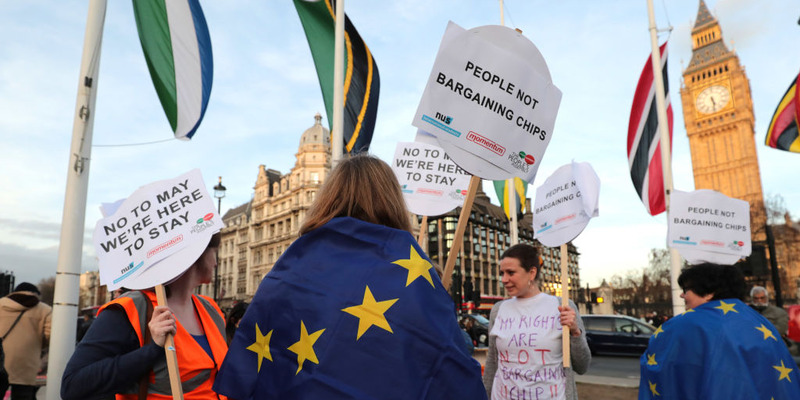 “The Government is still woefully unprepared for the huge task of registering EU citizens applying for settled status if we leave the EU,” Labour’s Stella Creasy told Business Insider. LONDON – Theresa May’s government is considering plans to register EU citizens who wish to stay in the UK after Brexit in alphabetical order, as it struggles to design a system which will cope with the millions of applications expected to flood in, multiple sources have told Business Insider. The Home Office, a department seeking to rehabilitate its reputation after the Windrush citizens scandal, faces the huge administrative task of processing residency applications from up to 3.6 million EU citizens living in the UK. Under the planned “settled status” scheme, citizens from EU member states residing in the UK will be able to apply for the right to continue living in the country once they have been resident here for five years. However, while the Home Office has publicly announced that the scheme will be the subject of a “phased rollout towards the end of 2018,” it has so far declined to release further details about how they plan to cope with the millions of expected applicants. Multiple sources have told BI that under a confidential plan being discussed by senior officials, caseworkers would process European applicants in “bite-sized chunks” in alphabetical order based on the first letter of their surname for the final phase of the process. Applicants will likely be able to apply for settled status once the scheme opens, but have their applications processed at different times. Home Office officials believe that the plan to register EU citizens alphabetically would be the least politically sensitive of all those under consideration. Figures within government believe two alternative plans to register applicants industry sector by sector, or by geographical region, could cause a backlash among those left at the back of the queue. While banks and other big businesses are pressing the government for a sectoral scheme, one industry source said that a scheme could risk a political backlash if it was seen to favour big business. The geographical scheme could be complicated and risk a hostile reaction from whichever regions were not selected for processing first, they said, especially if London and the southeast were among the first to be processed. A source briefed on discussions said early tests of the scheme indicated it was “light touch, simple, and very quick” for most applicants. “At the moment the grant rate is very high, and it’s actually relatively easy [for applicants],” the person said. But they said the real concern for UK Visas & Immigration, the department which will process applications, was how to deal with EU citizens who simply fail to apply for the scheme, which could number millions. “This system only captures those [applicants] who are compliant,” the source said. “It doesn’t catch anyone who doesn’t intend to comply. This is not the time it’s going to be difficult,” they added. Labour’s Stella Creasy, a leading supporter of the People’s Vote campaign, told BI: “This half-baked plan proves that, despite what leave campaigners promised, Brexit is not as easy as ABC. “The Government is still woefully unprepared for the huge task of registering EU citizens applying for settled status if we leave the EU. 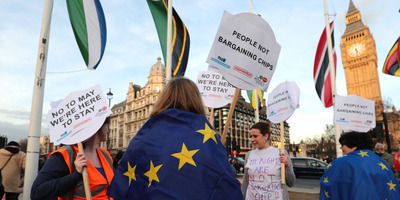 “Having been treated by ministers as ‘bargaining chips’ in the negotiations, EU nationals still have few guarantees about their futures, particularly in the event of a disastrous no deal Brexit. Maike Bohn, co-founder of the3million, told BI: “Little has been done to inform EU citizens, with many unaware of what they will have to do. A Home Office spokesperson said: “Securing the rights of citizens has always been our priority and we have delivered on this commitment. “The EU settlement scheme will make it easy for EU citizens to get the status they need. “It will be opened on a phased basis from later this year and will offer a streamlined, user-friendly way for EU citizens to obtain their status. It will be fully open by the end of March 2019.